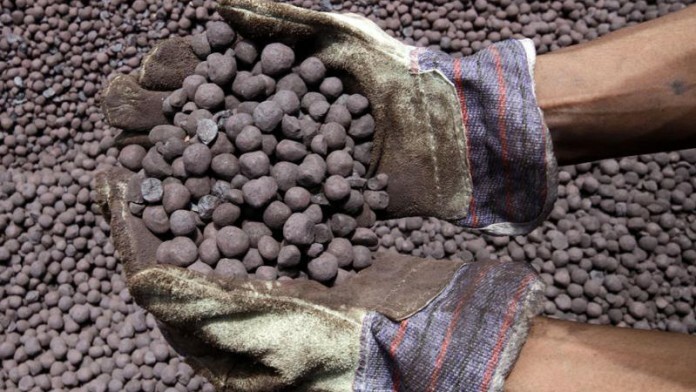 IRON ore production from India is forecast to reach a nine-year high as independent miners extract more of the steel-making material before the expiry of their leases next year, said Bloomberg News citing R.K. Sharma, secretary general at the Federation of Indian Mineral Industries. The country is set to produce as much as 210 million metric tons (Mt) in the financial year ending March 31 – the highest output since 2009-10, when it produced 219Mt. In 2020, independent iron ore miners must hand back their mines to the government for re-auctioning under India’s new mining policy, said Bloomberg News. “We are still analysing what will happen after 2020,” Sharma said. Global companies including Fortescue Metals Group are keeping an eye on India’s growing potential as a rising consumer of the mineral, the newswire said. Lack of adequate logistics has meant that steel mills in India, set to emerge as the biggest producer of the metal after China, have increasingly been relying on overseas supplies of the raw material, it said.